Cradled between the North Yorkshire Moors and the superb North East Coast, near Whitby. The Grinkle Park Hotel is close to the small fishing village of Robin Hood Bay: an historic fishing community that starts high up amidst cliffs and cascades steeply down to a beautiful beach, with intriguing alleyways and side streets leading off the main stretch. Robin Hood Bay also plays host to an abundance of great cafes and shops. 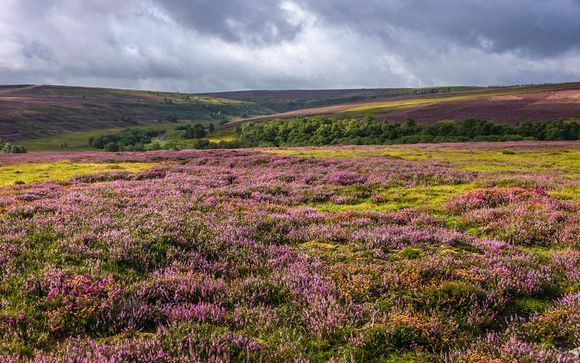 Discover unspoiled beaches and walk for miles on the North Yorkshire Moors National Park, with historic houses and castles, climbing, fresh water fishing, horse riding and golf – there is something for everyone, including the kids. With a sweeping, sheltered bay and charming red roofed cottages, Runswick Bay is one of the Yorkshire Coast’s prettiest destinations. The sandy beach, which once provided anchorage for brightly coloured fishing boats, is now a family favourite for rock pooling, fossil hunting and coastal walks where you can admire the spectacular sea views. Offering some of the most stunning accommodation in North Yorkshire, the Grinkle Park Hotel is ideally located for exploring Whitby and the beautiful Yorkshire Coast. Set in beautiful parkland, the House stands proud amongst ancient trees and rolling hills. Alongside awe-inspiring surroundings, the building itself is a sight to behold: with traditional grand décor and fabulous antique furnishings combined with modern amenities that guarantee a memorable experience. All rooms in the hotel are spacious, comfortable and command stunning views over the park-land. This offer is based on a Deluxe Double Room. 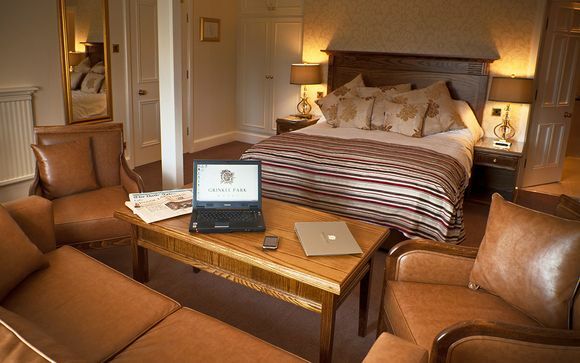 All rooms are recently refurbished, taking this North Yorkshire hotel to a new level of luxury and comfort. Each room has its own unique character, whether it be cosy and intimate or spacious and grand. The Deluxe Double Room has a sumptuously comfortable bed, along with a flat screen television with Freeview, a writing desk and complimentary WiFi. Bathrooms are spacious and include soft fluffy towels, slippers and bath robes. Just for you: glass of prosecco each and two-course dinner with coffee. 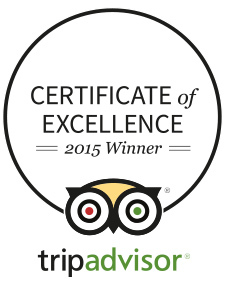 Stay two nights and also receive cream tea for two, stay three nights and also receive a packed lunch on departure. At the Grinkle Park Hotel, the chefs create a seasonally-changing menu using the freshest and finest ingredients sourced as locally as possible: hotel specialities include Yorkshire produce and fresh fish from Whitby. The hotel offers cuisine to suit your every mood, from a bistro lunch or bar snacks, to an elegant dining experience in the Conyers Restaurant with its immaculately dressed tables that look out over the stunning hotel grounds. Also serving a Classic Tea and a Deluxe Afternoon Tea, the Grinkle Park Hotel provides an abundance of fresh homemade scones, sandwiches and cakes, all accompanied by your favourite blend of piping hot tea. Alternatively, indulge in a Champagne Afternoon Tea to mark a special occasion. Travel is not included in this offer. By Road Grinkle Park Hotel is situated 9 miles from Guisborough, signed left off the main A171 Guisborough-Whitby Road.